On Tuesday, November 4, Christopher Arthur Norred, veteran gospel preacher of fifty-nine years, suddenly departed this life while taking an afternoon walk. He was 81 years of age. His funeral was conducted by this writer assisted by Franklin Camp on Thursday at Elmwood chapel. Almost twenty-four years of Brother Norred's life was spent with the West End Congregation in Birmingham, Alabama, the last seven years as a member of this church. 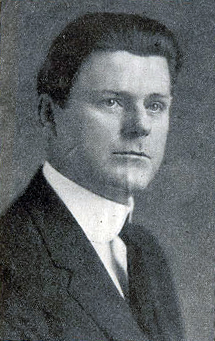 The esteem in which C. A. Norred was held at West End is illustrated by the fact that the first two thirds of his 59 year preaching career was spent working with 14 churches (6 in Texas, 3 in Tenn., 2 in Ala., and one each in Ill., Okla. and Calif.), while the last third or 17 years, was spent with the West End church. Those who knew Brother Norred were aware that he loved the state of Texas, about which he was fond of talking. 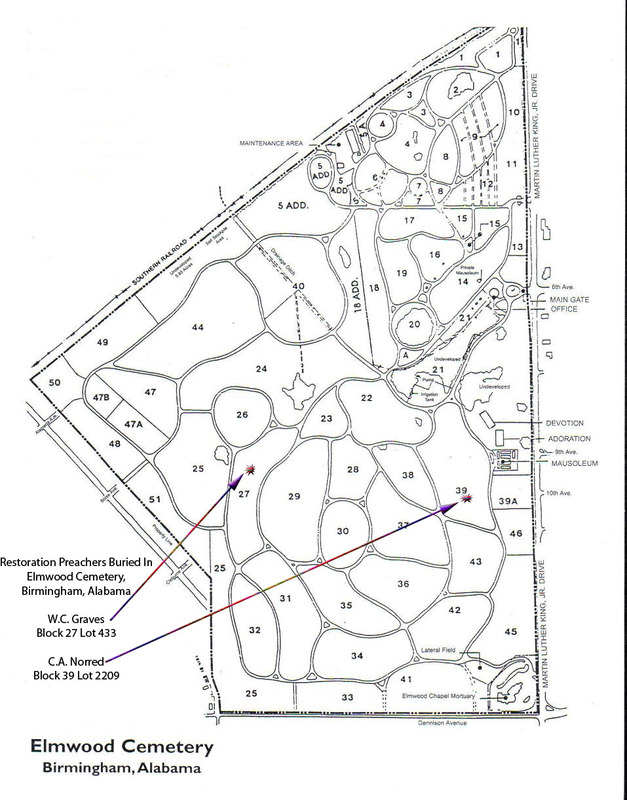 But he considered West End and Birmingham, Ala., his earthly home and here he was buried in Elmwood cemetery. 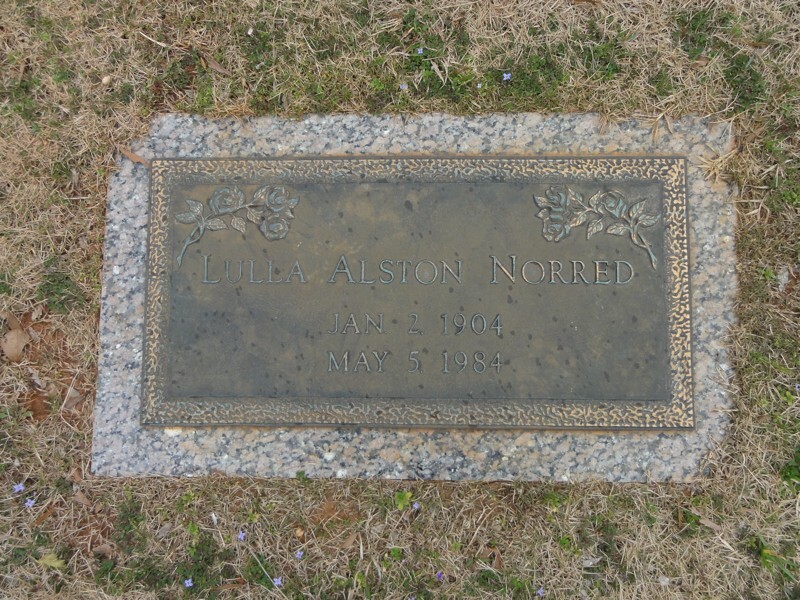 He is survived by his wife, Mrs. Lulla Alston Norred, two sons, R. A. and C. A., Jr., his mother Mrs. H. A. Norred (who will be 101 in January), a step-daughter and Mrs. Brice Jones, a step-son, A. L. Alston and one grandson. A pioneer in church Bible school administration, C. A. Norred wrote THE BIBLE TEACHER first published by the Gospel Advocate in 1926 and revised in 1957, which is still offered by them today. Although staying with the West End church for a long tenure, brother Norred constantly offered congratulations and encouragement regarding the program at West End during our work the past six and a half years. In all ways he was a Christian gentleman and allowed no problems to arise between us. There is no way to know or measure the amount of influence for good that Brother Norred had. No one on earth can record the ultimate influence of a sermon preached or of a Bible class taught. -Ernest Clevenger, Jr. Gospel Advocate, November 27, 1969, page 770. Evelyn Mae Rutherford Norred was born June 22, 1894 at Anthony, Kans. 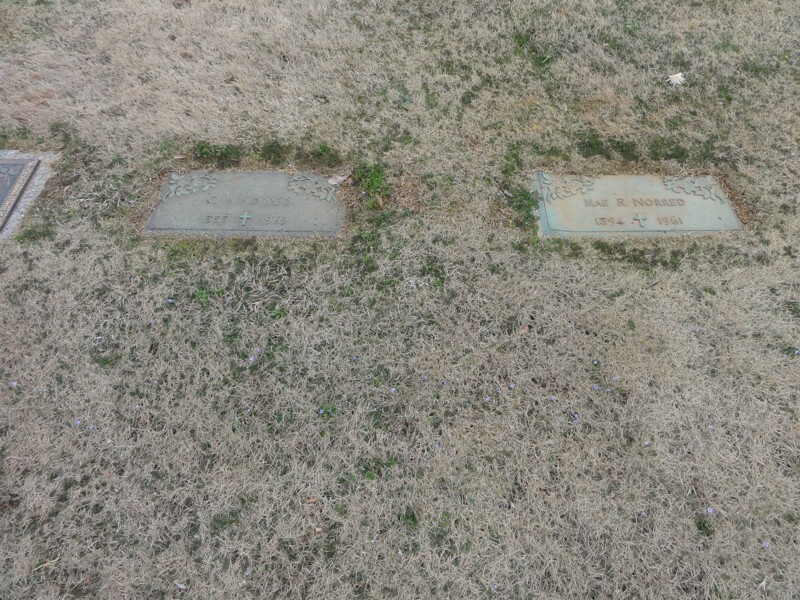 Her parents were John Washington Rutherford and Nettie Kirk Rutherford. At the age of thirteen she went with her parents to Ontario, Calif. Almost immediately on her arrival in California she suffered the first great sorrow of her life in the loss of her mother in death. She grew to maturity in Ontario, Calif. There she entered the profession of nursing as a Registered Nurse. She followed this profession until her marriage. After her marriage she did no nursing except as a service of love to her friends and to some unable to pay for service. 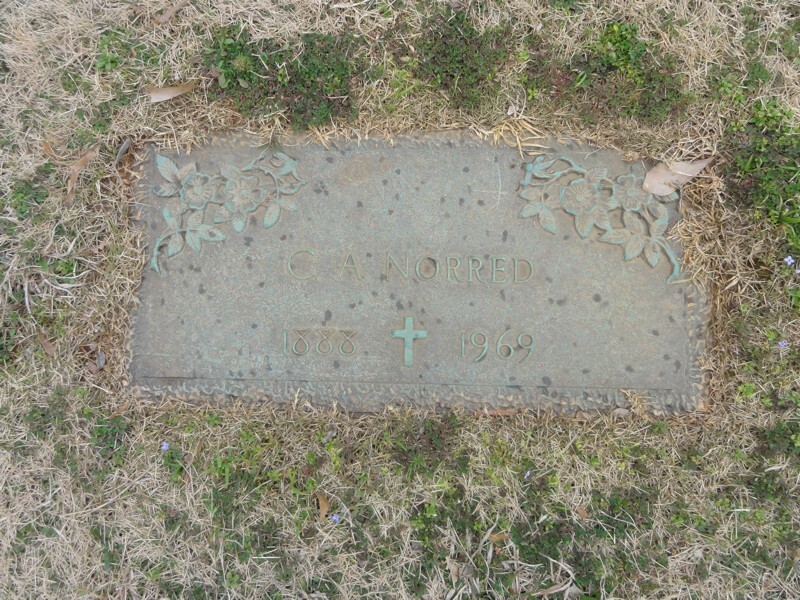 August 5, 1919 she was married to C. A. Norred. From that day she gave herself unreservedly to helping her husband in his work as a minister of the gospel. Her love of the Lord, abounding love of people, and unmeasured energy and determination took her through forty-two years of unremitting service. She passed from this life to be with the Lord in the early morning hours of July 4, 1961. 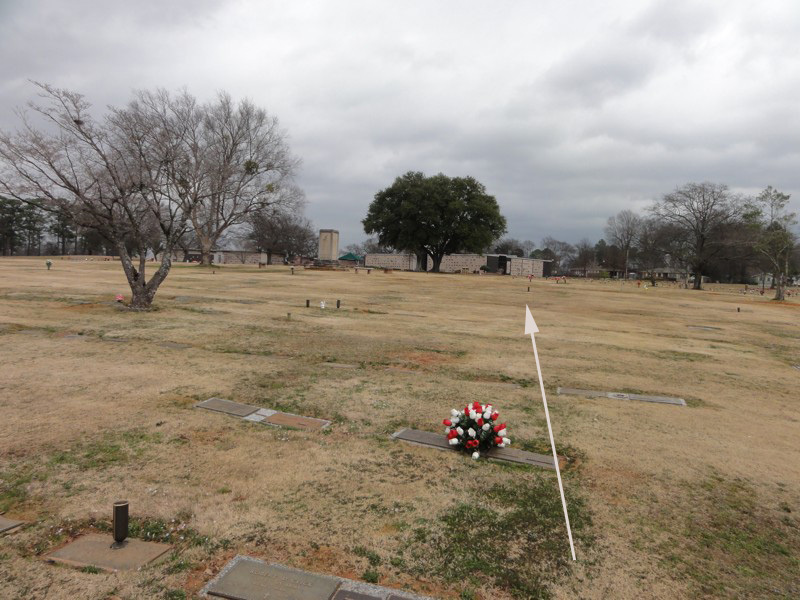 Her mortal remains were laid to rest in Elmwood Cemetery. The services were conducted by members of the West End Church. Her immediate survivors are her husband, two sons, C. A. Jr., of Antwerp, Belgium, and R. A. (Bob) of Birmingham, one grandson, Michael Kirk Norred, and three brothers, F. A. Rutherford, Santa Cruz, Calif., Claire, of San Diego, Calif., and Bert Rutherford of Mesa Vista, Calif. These relatives and sorrowing friends will long find solace and inspiration in remembering the virtues of this noble woman. -J. Paul Hanlin. Gospel Advocate, July 27, 1961, page 479. C.A. 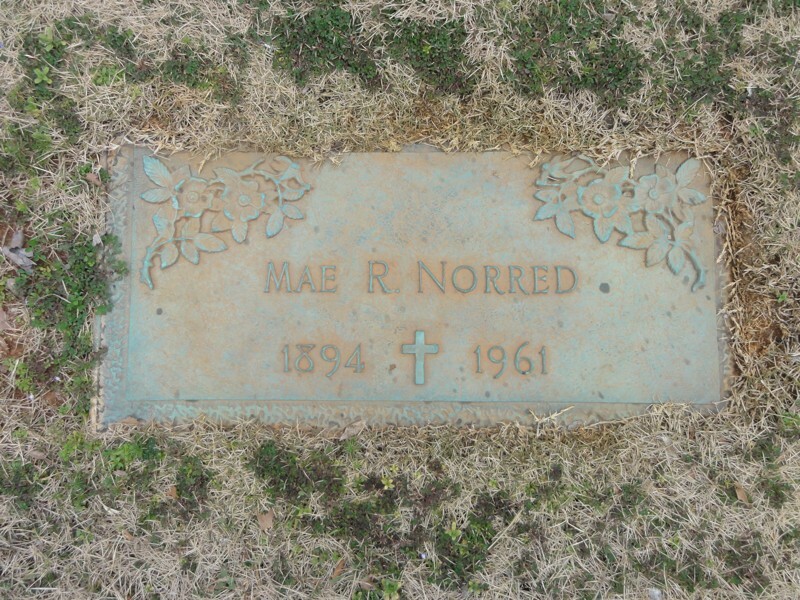 Norred is buried in the Elmwood Cemetery in Birmingham, Alabama, USA. In Birmingham take I-65 to Exit 258, Dennison Ave./Hwy.18. and head west. 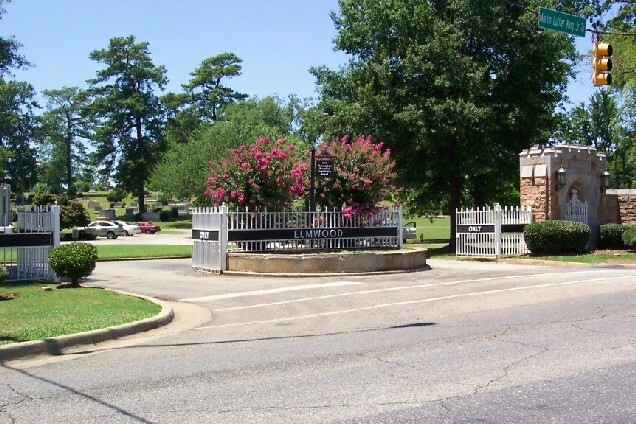 Turn right on Martin Luther King Jr. Dr. and the cemetery entrance will be a mile on your left. 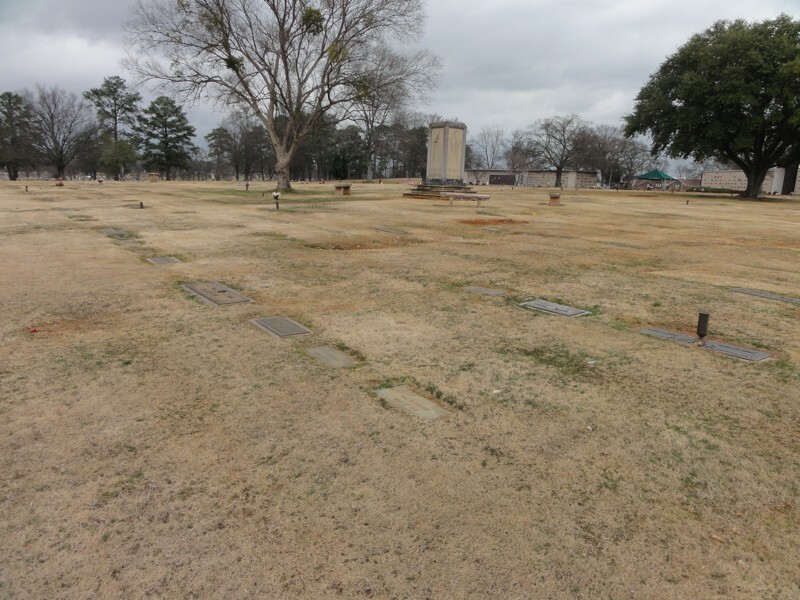 The cemetery is hundreds of acres in size. 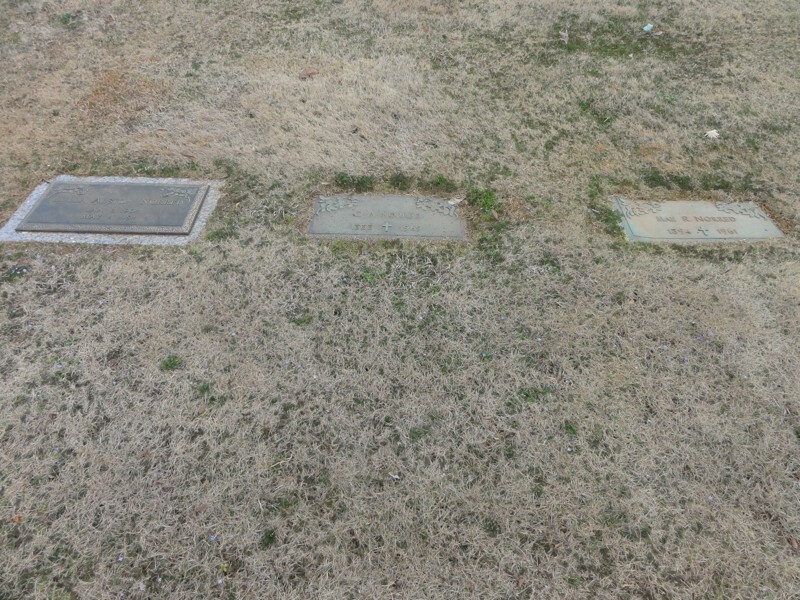 It is best to go by the office and get instructions on how to find the grave. To help find graves click on map below to see location. 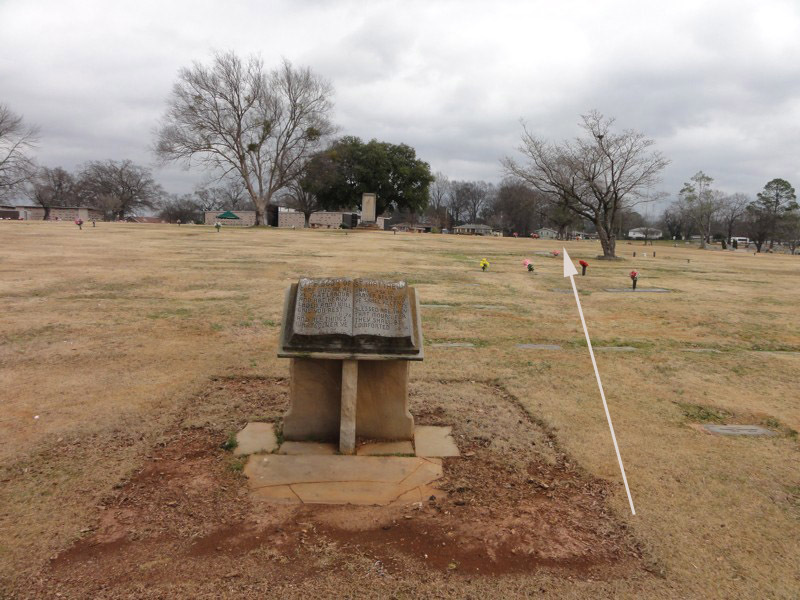 Also buried in this cemetery is another Restoration Movement preacher, W.C. Graves.